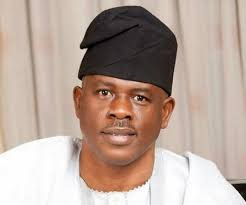 The EFCC task force investigating the alleged diversion of $2.1bn meant for arms procurement under the immediate past administration of Dr. Goodluck Jonathan has embarked on a discrete investigation into the former Minister of State for Defence, Sen. Musiliu Obanikoro. It was gathered that the team traced the sum of N4.75bn to the account of Silva McNamara Limited with Diamond Bank with links to the family of the former minister. became the sole signatory to the company’s account. N7, 000m on July 7, 2014. N200m on December, 5, 2014. The source said that the commission was probing the payment of N4.75bn to McNamara because the funds were released without any contractual evidence. Obanikoro’s name was not found in the transactions as he was not on the board of the company. A media aide to Obanikoro, Mr. Jonathan Eze, denied allegations that the former minister or his sons was involved in any fraud. He said all the allegations were mere speculations and urged members of the public to treat them as such. “As far as Senator Obanikoro is concerned, these are mere allegations that have not been proven and can never be proved. The former minister insists that his children were never directors at the company and were never signatories.